I'm not sure I have ever reviewed a documentary on my blog before, so this may be the inaugural review for this type of media. 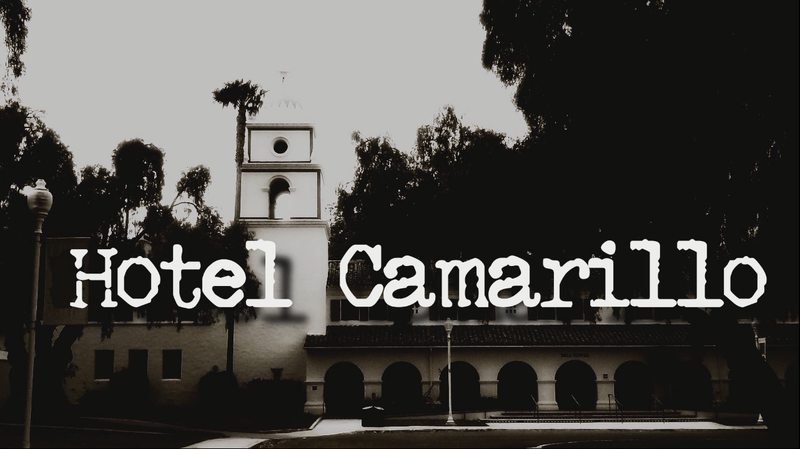 Hotel Camarillo is a 65 minute documentary about the Camarillo State Mental Hospital in California and it mainly focuses on what ghost hunters have documented about the place over the years. Currently it is a university (I believe) with the old wards of the notorious mental home slowly being changed into dorm rooms and other such places. I do enjoy documentaries about haunted places but I have to confess I am a huge sceptic when it comes to real life cases of ghosts and other paranormal goings on, though to quote the iconic poster from The X-Files 'I want to believe' but until I see proof with my own two eyes I can't help but feel like an outsider. This didn't take away from my enjoyment of this documentary though, the many people interviewed, many of them ghost hunters all seem like they really do believe in the existence of ghosts. All the interviewees talk about what they experienced in a matter of fact way and there is the evidence they have recorded to back it up. I did love the sense of rivalry the different groups had with each other, such as one funny moment when someone is apologising for not cleaning up the flour they had spread on the floor in one of the rooms (to try and get evidence of ghostly footprints). It sounded like this type of rivalry would make for an entertaining film. So the documentary splits itself between giving a historical account of what happened at the hospital before it closed and the accounts of various paranormal investigators. I felt at times this was meshed up a bit strangely, I would have thought all the historical stuff would have been at the start, instead a lot of it is mixed in with these modern accounts. 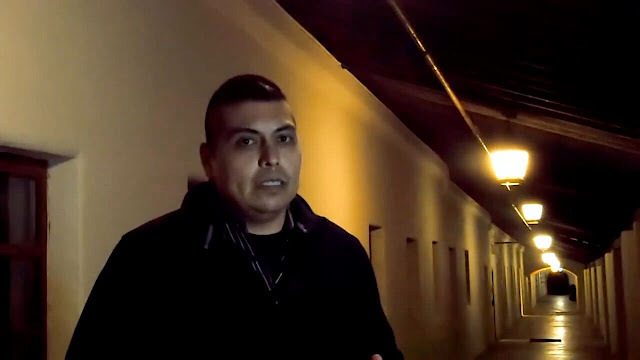 It was interesting to see a kind of disconnect between the legitimate horrors of the building (shown best with footage from the 70's of reporters arriving to the then functional sanitarium unannounced) and of the modern day ghost hunters who are excited to be at the place rather than seeming completely respectful. This isn't scary stuff, though I was impressed with the amount of footage that purports to capture ghosts talking on tape, this takes up a lot of the archival footage and usefully these scenes play twice, once raw, and then the second time with subtitles to show when the ghosts have spoken. To my mind this was all fake stuff despite the multitude of different groups with their own footage. However it was interesting listening to the hunters talk about the feelings they felt at the time, one about a huge spirit of a man was especially cool. Aside from the voices there are a couple of doors slamming, and a beach ball moving of its own accord, all show on camera but again the sceptic in me discounts all this. Hotel Camarillo is a good documentary that often leaves most the information up to the accounts of witnesses, only occasionally being narrated. I found the actual people to be a lot more interesting than what they were talking about, it was a nice little insight to this slice of culture. It was also refreshing that nearly all of this is presented simply, there are rarely any attempts to make things seem more scary than they are, though some of the recreations look very bad (red head apparition I'm talking to you!) Regardless of if ghosts are real or not the Camarillo State Mental Hospital seemed like it wasn't the best of places, and the dilapidated building certainly looks creepy. Hotel Camarillo has been released by Reel Nightmare Films on Amazon Prime and Amazon Video so give it a look if you want to discover more about this supposedly haunted location, and be sure to check out the trailer below. Thank you so much for your review of my documentary, "HOTEL CAMARILLO". Highly appreciated!